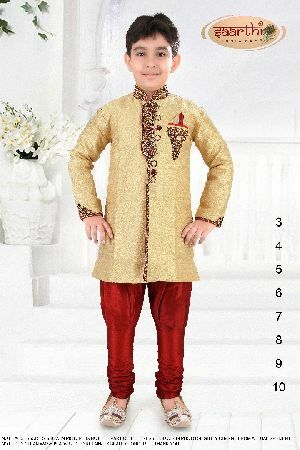 This "Angrakha" Style Sherwani Is best designed using high quality Embroidery Material and best stiching. 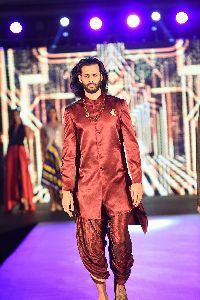 Fascinating red color net lehenga having zari, kundan work motifs is representing a royalty in itself. 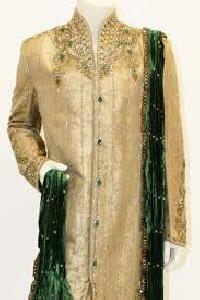 Paired with matching choli and beige color dupatta. 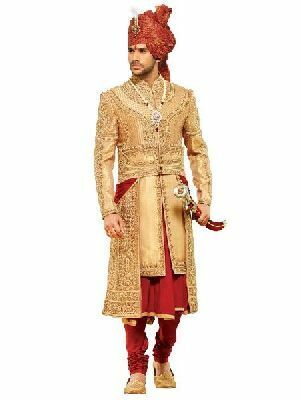 Eye-catching outfit will add a regal touch to your personality. 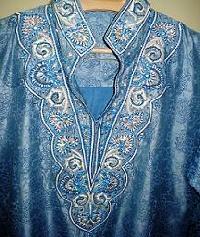 Wash Care : Dry Wash only. 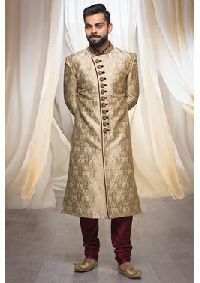 We offer designer mens sherwani. 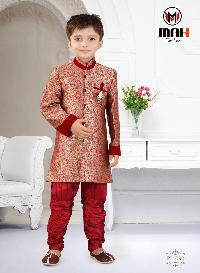 We are the prominent Supplier of fashionable Kids Sherwani in Indian as well as overseas market. 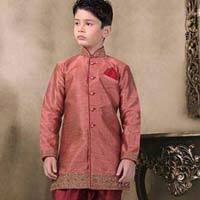 Additionally, we are acclaimed among the Exporters of Fashionable Kids Sherwani. 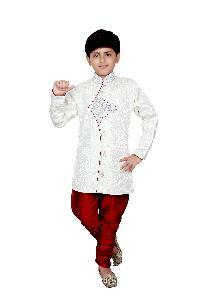 Our comprehensive ranges of kid’s wear are available in various colors and designs. 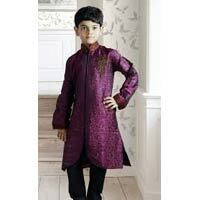 Further, we offer Embroidered Kids Sherwani created by most popular designers of India. 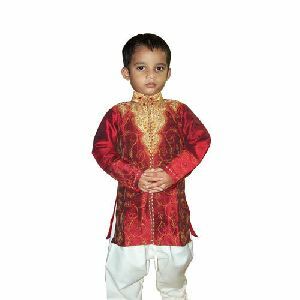 Kids Sherwani Sets. 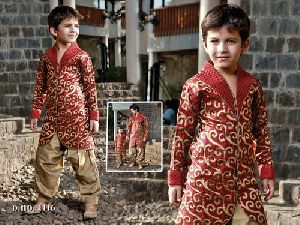 ... From kids lehenga choli and kids salwar kameez to kids kurta pyjama and kids sherwani, all of them look adorable. 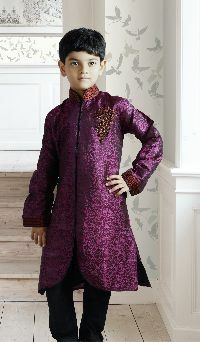 The Kids sherwani is perhaps the most formal outfit you can buy for your boy. 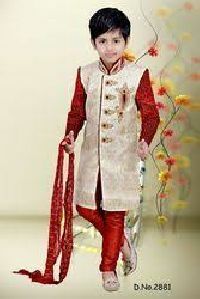 For availing the finest collection of designer skirts , visit our modular destination. 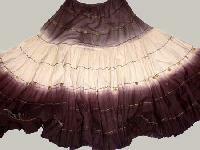 Our designer ladies skirts reflect a unique class and grace. 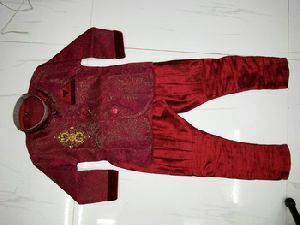 They are designed in the latest trend and fashion. 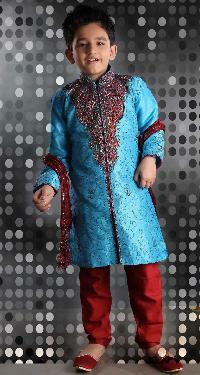 The designer mini skirts are yet other premium products which is hugely popular among the youth. 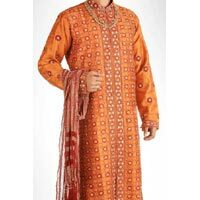 Besides, we are reckoned to be one of the most trusted women's skirts exporters from India. 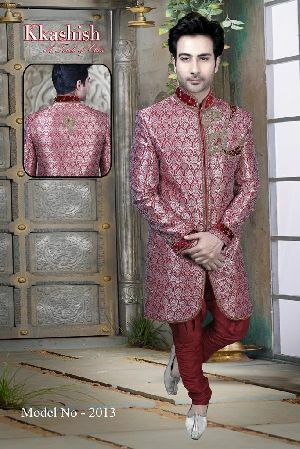 We are counted among the well known Manufacturers and Suppliers of Mens Designer Sherwani. 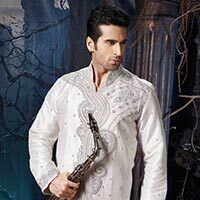 Mens Designer Sherwanis ensure a royal and classy look. 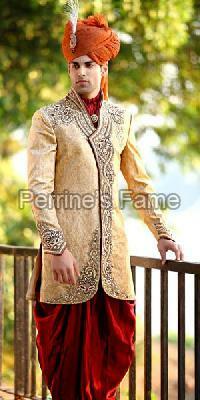 These Mens Designer Sherwanis are frequently worn in marriages, parties and other big occasions. 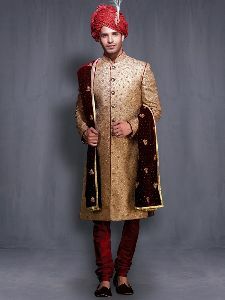 Mens Designer Sherwani can be availed from us at competitive market prices. 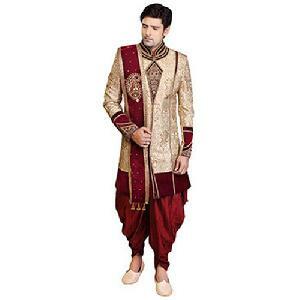 Men's indo western sherwani can be use in wedding, parties and in many other occasions. 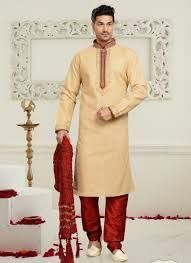 Price includes sherwani and BrijesChudidar.Ã�Â Clients looking for comfortable as well as fancy Designer Sherwani can ideally approach us. 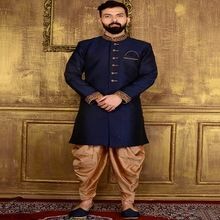 Owing to elegant appearance, eye-catching design, excellent finish, the offered sherwani is widely dressed during celebrations or wedding. 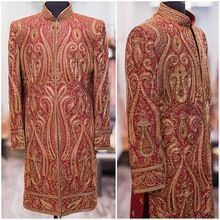 Cream Art Silk Wedding Wear Embroidery Work Sherwani Category Description Stole, Mojri and any other accessories shown in image are for reference purpose only, It is not provided with product. 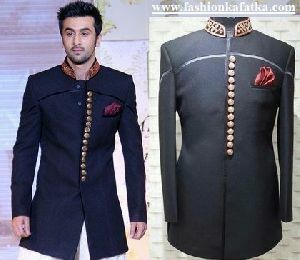 If you need you can request it which costs extra. 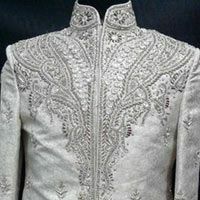 The Grooms Designer Sherwanis, that we offer, are beautifully embroidered using the latest techniques. 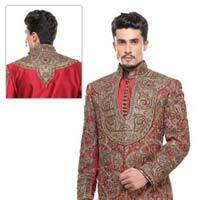 These designer sherwanis can be availed in a plethora of colours, designs and patterns. 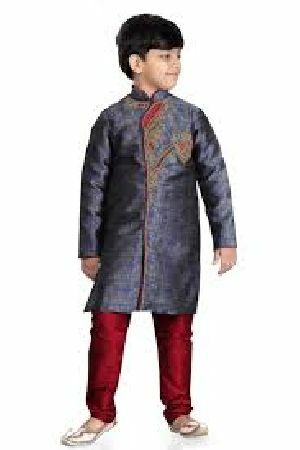 We offer a huge gamut of attractive dining room set furniture, which is manufactured from the superior quality wood to ensure its durability and robust structure. 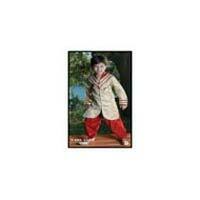 We have firmly positioned ourselves as the most preeminent dining sets manufacturer and exporter from India. 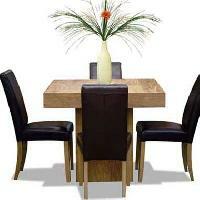 Our wooden dining sets are available in varied sizes and in various unmatched designs.